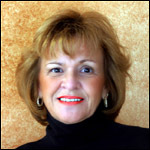 Eileen Grobard, President of Grobard & Associates, Inc., has been in the Recruiting/Personnel Industry for over 30 years. She entered the industry, first as a recruiter, and later as owner of Career Opportunities, a company she started in 1979 in Springfield, Massachusetts. Eileen was successful in building a Permanent Professional Search business that specialized in Finance, Insurance, Sales, Marketing and Office Operations. Along with her recruiting and placement duties, she hired and trained a staff of recruiters that contributed to the growth of her company. Additionally, she was responsible for the day-to-day duties of financial record keeping, advertising and budgeting coupled with maintaining and growing a successful customer base. After operating her business for a number of years she sold it to a competitor in the industry. She was retained as Manager/Recruiter where she utilized her skills to increase the client base and revenues until 1990. Her career was advanced at this time by an offer to join Dunhill Personnel, a national employment company, to join with them as Manager/Recruiter for their Springfield, Massachusetts�s office. She was hired by Dunhill and given the responsibility to build the production of their Professional Search Division, hire staff and manage the day to day operations of the consultants that specialized in Health Care, Data Processing, Manufacturing and Engineering. In May of 1994, Eileen�s career was further advanced by an offer to join Corporate Staffing Solutions as Vice President of their Professional Search Division. She brought with her a team of professional recruiters with a combined 50 years of proven success with local and national accounts. Again, she was able to increase the company�s client base and revenues. In April of 1998, Eileen relocated to the Atlanta area to once again start her own search firm, Grobard & Associates, Inc. Eileen continues to service her past and current clients in the Medical and Pharmaceutical industries while others in the organization service the Bio-Medical, Pharmaceutical, Medical Sales, Medical Device/Equipment.